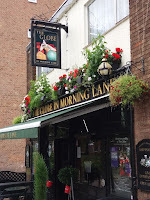 The Globe in Morning Lane is the place to be on a Sunday lunchtime. A 'proper' pub in Hackney, jazz has been on the menu for the best part of twenty years. 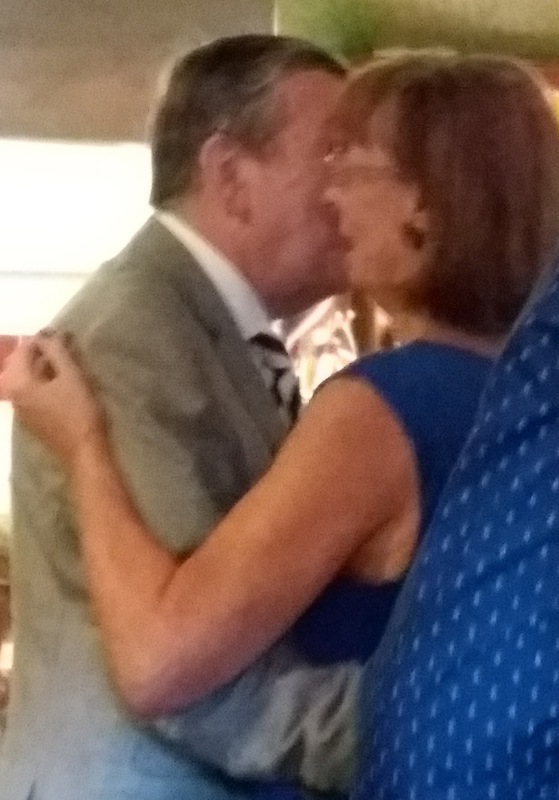 The regulars know it, they arrive well before noon, and in next to no time, the place is standing room only. On Sunday TJ Johnson made a return visit to the hostelry. 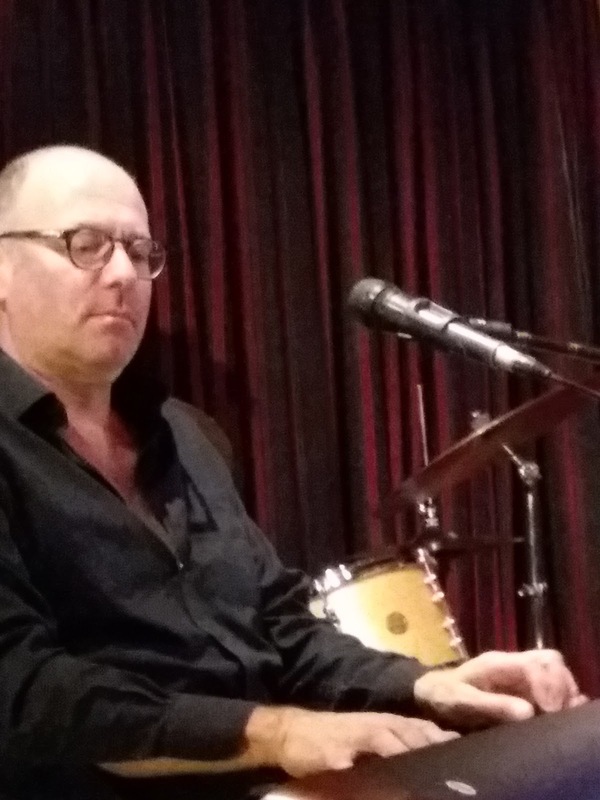 The regulars like him and with good reason, he's a real entertainer with a top class band playing unpretentious, good time jazz. And they like the beer and there is a raffle and, on this occasion, a lavish spread was laid on by Mine Host, Steve, to celebrate a birthday...his own! Three sets (yes, three! ), jazz, beer, food, good crack, you can't go wrong. Pianist/singer TJ Johnson kicked off with Exactly Like You. TJ's band knows what it's doing and, crucially, knows what the audience wants. If I Had You, Willie Nelson's On the Road Again, straight-down-the-middle piano playing, bootin' tenor from Al Nicholls and, a real bonus, Tony Pitt playing guitar. Ex-Alex Welsh and many other 'name' bands, Pitt plays with real verve, not bad for a veteran who has seen and heard it all. 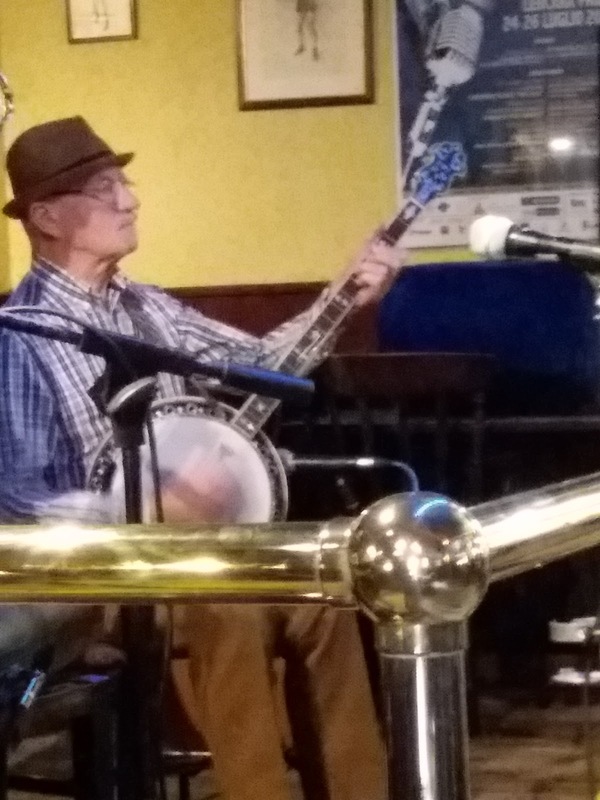 A Sunday pub gig, yes, it could have been a high profile festival engagement, it made no difference to the unassuming rhythm king. TJ knew he had a diamond in his band. The Basie-Eddie Durham cooker Swingin' the Blues did what it said on the tin. Was that Freddie Greene? It could have been, the name was Pitt, Tony Pitt. Small group swing, TJ's penchant for Willie Nelson, whatever the tune the Globe's patrons were up tripping the light fantastic. Buffet time. And what a spread! Plates piled high, all tucked in. Landlord Steve read out some parish notices, including the sad news of the death of bandleader and trumpeter Bill Freeman of Happy Jazzmen fame. The Lady is a Tramp sang Johnson to get the second set underway. 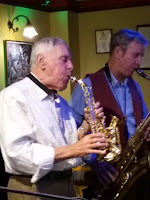 Tenor man Al Nicholls featured on In a Mellotone as did the fine younger generation bassist Tim Fairhall. Runnin' Wild kicked up a storm as the throng danced itself almost to a standstill. This being London, TJ couldn't let the occasion pass without paying tribute to Chas Hodges (of Chas and Dave fame). Our bandleader revealed that Hodges was one of his inspirations when, as a teenager in Stockport, he bought a Chas and Dave album. With his ex-wives in mind, TJ sang Ain't No Pleasing You. As an aside TJ said one of Hodges' first gigs back in the fifties was playing bass guitar with Chuck Berry...now there's a claim to fame! To close the second of three sets the band played a chorus of Happy Birthday for Steve and two others coincidentally celebrating a same-day birthday followed by I've Got the World on a String (TJ certainly had his audience on a string) and Merle Haggard's Workin' Man's Blues. 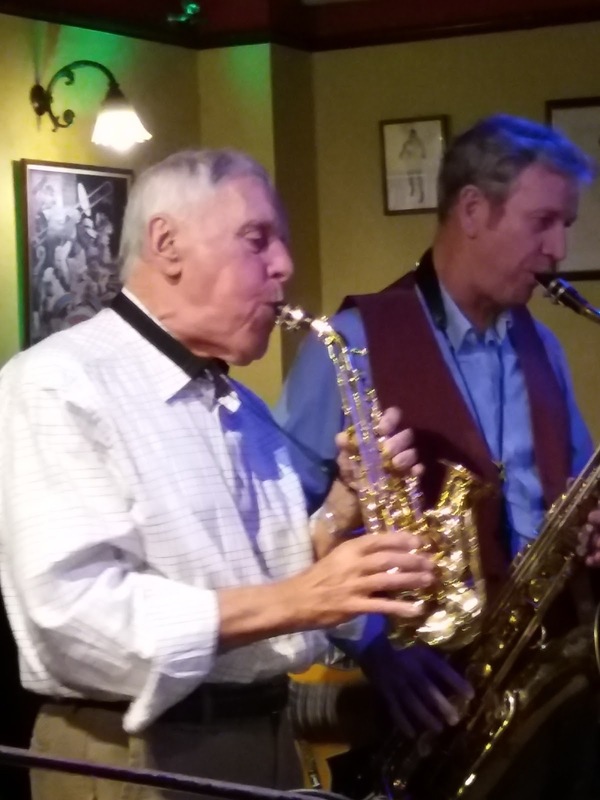 An excellent version of Autumn Leaves (Johnson vocals) opened the final set and no one was going anywhere as the quintet upped the tempo on Don't Get Around Much Anymore (Nicholls' bootin' tenor). An unexpected treat followed with ex-Ken Colyer man Goff Dubber, playing curved soprano, sitting-in. This was quite a line-up here at the Globe boasting a collective cv of gigs with, variously, Alex Welsh, Colyer and, playing the first of three gigs in a day, drummer Wesley Gibbons who currently works with American pianist Darius (son of Dave) Brubeck! The Globe's dancing crowd (including Landlord Steve and his 'Missus' - see photo) demanded an encore and TJ Johnson was ready for them. A N'Awlins' feel to I'll Fly Away sent us on our way. 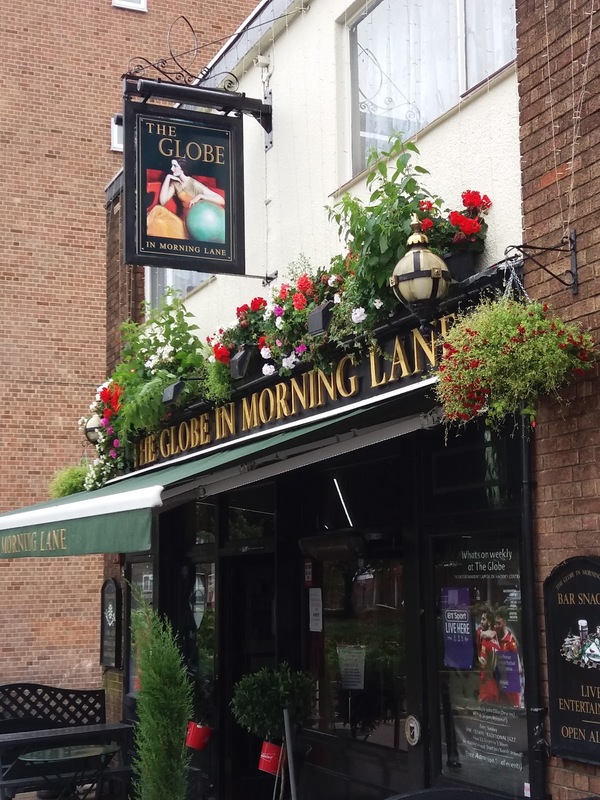 Landlord Steve and his hard working team have developed the Globe on Morning Lane into a 'bucket list' destination for any jazz fan on a visit to London.